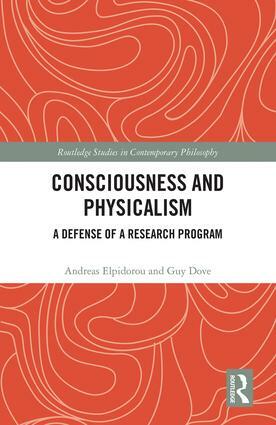 Andreas Elpidorou is an Assistant Professor in the Department of Philosophy at the University of Louisville. He specializes in the philosophical study of the mind and has written extensively on the character of consciousness, cognition, and emotions. Guy Dove is an Associate Professor in the Department of Philosophy at the University of Louisville. He specializes in philosophy of cognitive science and has published articles on concepts, embodied cognition, language development, and physicalism.